You might be thinking I have seriously lost my mind. Direct Sales. The root of the business is grounded in relationship building, in-person events, and constant sharing of your business and products. This is still the case! Direct sales businesses are best worked with relationship-based strategies. I have, however, found a way to turn my direct sales business into passive income. Simply put, passive income is sales that happen, even teammates that join, without you actively promoting your direct sales business. In the case of direct sales, this might mean a blog post you have written, a pin that directs back to your direct sales website, or even a product you have created which helps your direct sales community. Sales happen organically, on their own, and done well, this can result in a steady increase of monthly income. I’ve invested in myself this year on growing my passive income streams and am here to share with you how I do it. 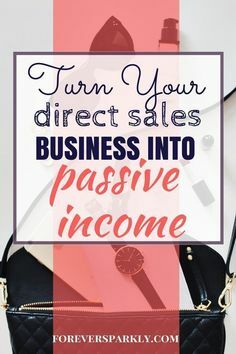 The best direct sales companies that make for great passive income opportunities are ones that do not require any inventory on hand. Your customer would ideally find your website or other content on the web and make a decision to purchase right there and then. You wouldn’t have any ‘hands-on’ work such as packing, shipping, or invoicing. However, one of the keys to direct sales done passively is you must have GREAT follow-up. Having a solid follow-up plan means to repeat and lifelong customers. They have found you, purchased, and now it is time for you to ensure they always come back to you for that product or service. Out of the last 10 customers that have found me online, 60% have been repeating customers. And in one case, my follow-up and sponsoring strategy resulted in a repeat customer signing up to be on my team. I’ve said before that one of the best ways to break out of your warm market and expand your customer base is to blog about your direct sales business. Most customers go to Google (or Pinterest!) when they are looking for the answer to something. How do I Join Pampered Chef? What are the Younique Fall Makeup Colors? 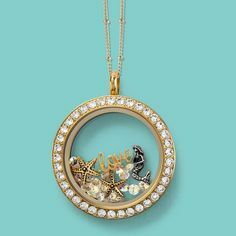 Where can I find an Origami Owl designer? Your challenge is to write blog posts that answer these questions and with great SEO, you will end up on Google Page 1. If a stand-alone blog seems out of your league and pocketbook, consider a microblog with Sassy Direct. All the benefits of having a blog and you benefit from the top-notch SEO the directory has. If you are interested in learning more about microblogging, start with Part 1 of my Microblogging series. 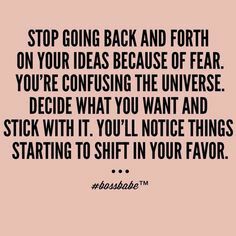 You know I love Pinterest and it is the keystone of my entire direct sales passive income strategy. Having a deep understanding of how Pinterest works and how you can use it for your own direct sales business is crucial. Map out a Pinterest strategy, set up a daily schedule of pins, and adjust as you go. As you dive into the prospect of evolving your direct sales business into passive income, it is key to understand affiliate marketing strategy. It’s not as easy as putting up some links to your products or business. There is a science behind affiliate marketing and it pays to learn as much as you can. Instead of reinventing the affiliate marketing wheel, look to experts in the field, read, invest in affiliate marketing courses. Once you have a solid grasp of affiliate marketing, you’ll see the pieces click together for your own direct sales passive income strategy. The key to remember with working your direct sales business as a passive income opportunity is that it does not happen overnight. You need to build the foundation and set systems in place to have the wheelhouse running. Once you do, you’ll marvel at the other passive income opportunities that you can add. Thus increasing your passive income opportunities month after month. Ready for more direct sales tips? Follow me on Facebook! Click To Purchase Making Sense of Affiliate Marketing! Learn how to use affiliate marketing to grow your income! Click to purchase Making Sense of Affiliate Marketing. If you have wondered how to make passive income month after month, the Making Sense of Affiliate Marketing will teach you how to do this. Whether you have a blog or want to use Facebook, Instagram, or Pinterest, affiliate marketing and passive income is possible! Click for Affiliate Marketing Course! Excellent article and tips Kristie. I’ve been running my direct sales business similar to an affiliate business for years too. With my company, we can be inventory based or people can order from my website and it’s shipped to them. I love having inventory for my local customers and being able to serve people anywhere in Canada and the United States. It does take time, patience and consistent effort. Keeping in touch (follow-up) is vital, it helps develop relationships for long-term success. Having someone like you to help one learn the best strategies and tactics will shorten the learning curve. Thanks for sharing your experience and ideas. I found this post quite helpful. Thank you, Alisia! It is a different approach to direct sales but still rooted in relationship building. Good luck with your own direct sales adventure! Thanks for sharing such great tips on how to create steady passive income on a monthly basis with consistency. I am glad that I found your pin on Pinterest. I will definitely continue to follow you to gain more inspiration to grow my direct sales business.